This was the conflict between France and Egypt and the King of the north came against him. In 1798 this was the battle that France was faced with Turkey. The king of the north here in this line was identified as Turkey. We want to go back because the king of the north at one stage was Rome in the Eastern Roman Empire. Roman Constantinople was the headquarters of the Eastern Roman Empire. That territory was therefore then ruled by Rome. What transpired that we are now looking at Turkey as being the king of the North? In the study of the seven trumpets we looked at how the first four trumpets were in reference to the barbaric tribes that destroyed a third of the kingdom which was the western empire conquered by the barbaric tribes. But the eastern Roman empire continued. We will establish how Daniel 11 ended up being established as the Turkey head quarters king of the North. When we were studying the seven trumpets, we recall the star that fell and we established that was one of the barbaric tribes. Attila the Hun was one of the conquerors of the Roman empire. Here we see another star and he was given the key of the bottomless pit. Who is this star? We are looking at the eastern Roman empire where Justinian was ruling. We are trying to understand from the text and history as to who was responsible and what were the events that took place for the fall of the Roman empire. This star that fell from heaven was given the key to the bottomless pit. The word bottomless pit comes from the Greek word abysses. It means desolate, uncultivated place. This is precisely the same word described in Genesis. The earth will again be a bottomless pit during the thousand years. That was the description of the earth being empty and void. This star had the key of the bottomless pit. A place that was empty, desolate, waste and uncultivated. This is a power or particular person who would actually conquer Rome, the Eastern Roman Empire. The name of the person that this is speaking about is Mohammed. What place of the earth did he have particular control over according to history? Arabia. The deserts of Arabia and all that area. We know that Mohammed was the prophet of the Arabs, the Islamic religion. Here we see a direct reference to Attila the Hun. This is Mohammed who was responsible for the fall of the Roman empire of the east. The description of smoke in the story of the scriptures is smoke coming up in the nostrils of Jesus. It is also in reference to corruption in religion. The spread of the Mohammedan religion that spread throughout Arabia is here described the smoke that was spreading. As the Mohammedan religion was spreading over that area out of Mohammedanism came these Locusts. We are still on the same subject of the fall of the Roman empire by war. We are looking at war that comes out of the smoke. Here is the description of the Saracen bands. The Saracens did not have any king leading them into battle as so many of the other nations had. They were just a marauding lot of bands. Each one had their own leader of the band. The remarkable thing with the Arabs was that they were so well organised in their battles, they had it in their systems. They didn’t need anyone to direct them as they were so caught up by their religious fanaticism that they were governed by this religion to do their battles and they were on fire. Like a lot of locusts with different leaders. They were fighting a holy war. They were following their religious convictions and they were going out to do their work. They came up to the headquarters of the eastern Roman Empire. We don’t have to know any great proof of what the seal of God in the foreheads is. It is in reference to the Sabbath. After Mohammed passed away, the next man to be the religious leader of the Saracens was Abu Bakr AD 632. Notice what he said as he gave order for his Saracen bands. “When you fight the battles of the Lord, acquit yourselves like men, without turning your backs; but let not your victory be stained with the blood of women or children. Destroy no palm-trees, nor burn any fields of corn. Cut down no fruit trees, nor do any mischief to cattle, only such as you kill to eat. When you make any covenant, or article, stand to it, and be as good as your word. As you go on, you will find some religious persons who live retired in monasteries, and propose to themselves to serve God that way; let them alone, and neither kill them nor destroy their monasteries: and you will find another sort of people that belong to the synagogue of Satan, who have shaven crowns; be sure you cleave their skulls, and give them no quarter till they either turn Mahometans or pay tribute.”2 . Jesus would destroy those who are destroyers and desolaters. We have established that the pagan Roman empire was desolated by the Barbarian tribes of the west. The Catholic church with its monasteries and monks were being destroyed by the Saracens. Destroy them yet there are some who are not monks who devote themselves to the worship of God, don’t touch them. These people who were Sabbath keepers, they were not to be touched. Whereas the monks weren’t and were destroyed. A direction of hurting neither trees nor the grass and only destroying those who did not have the seal of God. That is precisely what happened. Revelation 9:5 And to them it was given that they should not kill them, but that they should be tormented five months: and their torment [was] as the torment of a scorpion, when he striketh a man. 6 And in those days shall men seek death, and shall not find it; and shall desire to die, and death shall flee from them. As these Saracen bands came into the Roman empire and were attacking and destroying only those of Catholicism, they were not killing them but giving them a really hard time. They wanted to die but they couldn’t. They were attacking the eastern Roman empire but they never really thoroughly conquered it. The eastern Roman empire would not be totally decimated until five prophetical months would be complete (150 years). Revelation 9:7 And the shapes of the locusts [were] like unto horses prepared unto battle; and on their heads [were] as it were crowns like gold, and their faces [were] as the faces of men. 8 And they had hair as the hair of women, and their teeth were as [the teeth] of lions. 9 And they had breastplates, as it were breastplates of iron; and the sound of their wings [was] as the sound of chariots of many horses running to battle. Here is the description of the Saracen armies coming to do the devastation. What kind of horses did the Saracen armies ride? Arabian horses. In their battles they were more artillery orientated. As the sound as they came to battle was a whole lot of galloping horses. It was a different kind of battle. These Arabian horses could do that. They were noted for their sudden turning and disappearing. The description was men on horseback. They had on their head what? What was the Arab especially noted for? The sign of the Arab was the turban. That is the reference that was made. It was like unto a crown. That was their glory, their turban. It was one of the items of the turban. “When Mahomet fled to Medina and was first received as its prince, a turban was unfurled before him to supply the deficiency of standard. The turbans of the Saracens, like unto a coronet, were their ornament and their boast. The rich booty abundantly supplied and frequently renewed them. To assume the turban is proverbially to turn Mussulman. And the Arabs were anciently distinguished by the miters which they wore.” Daniel and the Revelation page 501, The Moslem World. “And their faces were as the faces of men.” “The gravity and firmness of the mind (of the Arab) is conspicuous in his outward demeanour;… his only gesture is that of stroking his beard, the venerable symbol of manhood… The honor… of their beards is most easily wounded.” Daniel and the Revelation page 501, The Moslem World. Why does it say faces of men? How were men identified in the Old Testament? Beards. “Long hair is esteemed an ornament by women. The Arabs, unlike to other men, had their hair as the hair of women, or uncut, as their practice is recorded by Pliny and others. But there was nothing effeminate in their character; for, as denoting their ferocity and strength to devour, their teeth were as the teeth of lions.” Daniel and the Revelation page 501 The Moslem World. There you have the strange impact of these Arab Saracens as they came and swooped in and did their hurting suffering works that people didn’t want to live anymore. Revelation 9:10 And they had tails like unto scorpions, and there were stings in their tails: and their power [was] to hurt men five months. 11 And they had a king over them, [which is] the angel of the bottomless pit, whose name in the Hebrew tongue [is] Abaddon, but in the Greek tongue hath [his] name Apollyon. This name became the identification name of the empire because in the English it’s Othman. That is where the term Ottoman comes from. That was the king over the whole race. He was identified as the destroyer. Revelation 9:9 And they had breastplates, as it were breastplates of iron; and the sound of their wings [was] as the sound of chariots of many horses running to battle. The standard of the Arab was the horse’s tail. The Arab horses have a particular attractive tale. That was their identification mark of their sting. Now we come to the five months. As you look at five months in prophetic time, that works out to 30 days in a month, 150 days, and taking that into years, 150 years. “But when did Othman make his first assault on the Greek empire? — According to Gibbon, Decline and Fall, etc., “Othman first entered the territory of Nicomedia on the 27th day of July, 1299.” p. 479, Para. 2.” Daniel and the Revelation Uriah Smith. That was the beginning of his thrust. The calculations of some writers have gone upon the supposition that the period should begin with the foundation of the Ottoman empire; but this is evidently an error; for they were not only to have a king over them, but were to torment men five months. But the period of torment could not begin before the first attack of the tormentors, which was, as above stated, July 27, 1299. p. 479, Para. 3. Here is the beginning of the five months. 1299 and 150 years? Where does it take you to? 1449. It was in the year 1449 that Constantinople was finally conquered. Not until then. 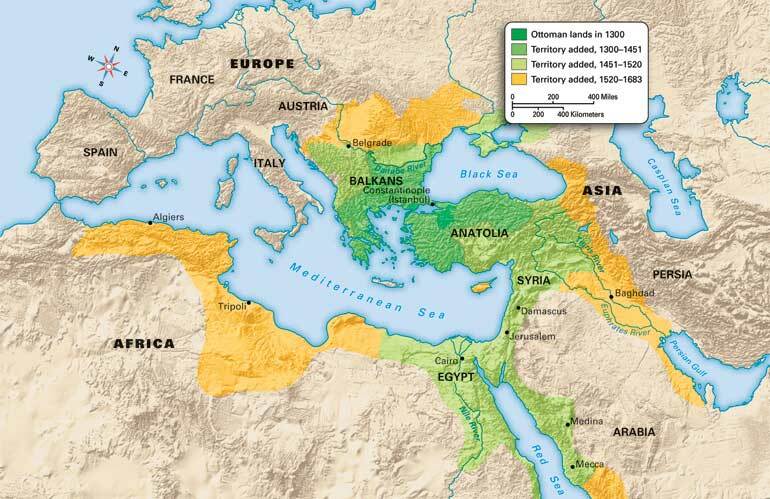 In those 150 years the Saracens were giving the eastern Roman empire a hard time but they didn’t conquer it. Just imagine it. No wonder it says they didn’t want to live anymore. You can see how the orchestration of the wicked was such that those who were persecuting Gods people were being hurt and desolated by the other opposing forces. God pays back. By 1449 Constantinople was finally conquered and became the capital of Turkey. That completes the description of the fifth trumpet. Revelation 9:12 One woe is past; [and], behold, there come two woes more hereafter. That is the sixth trumpet and then the seventh. The sixth trumpet is the one we want to continue to study as it takes us through to the Ottoman Empire, the king of the north. Constantinople was ravaged and pillaged by the Saracen tribes but they didn’t take over until the year 1449. The finishing of the hurt took place in that sense. For those who have studied the sanctuary, there in the heavenly sanctuary is this altar from where all the affairs of the world are like a computerised controlled area where all these things are sent forth. Here is the other third of the Roman empire where it is to be finally achieved where the eastern Roman empire is finally decimated. Angels out of the river Euphrates. We are still talking about the wars. To lose the four angels out of the river Euphrates. The first woe was to continue from the rise of Mohammedanism until the end of the five months. Then the first woe was to end, and the second to begin. And when the sixth angel sounded, it was commanded to take off the restraints which had been imposed on the nation, by which they were restricted to the work of tormenting men, and their commission was enlarged so as to permit them to slay the third part of men. This command came from the four horns of the golden altar. p. 480, Para. 2. The Four Angels. — These were the four principal sultans of which the Ottoman empire was composed, located in the country watered by the great river Euphrates. These sultans were situated at Aleppo, Iconium, Damascus, and Bagdad. Previously they had been restrained; but God commanded, and they were loosed. p. 480, Para. 3. The Ottoman was falling into the hands as this all happened. It is apparent that just as soon as this ultimatum should be put by the sultan into the hands of Mehemet Ali, the matter would be forever beyond the control of the former, and the disposal of his affairs would, from that moment, be in the hands of foreign powers. The sultan despatched Rifat Bey on a government steamer to Alexandria, to communicate the ultimatum to the pasha. It was put into his hands, and by him taken in charge, on the eleventh day of August, 1840! On the same day, a note was addressed by the sultan to the ambassadors of the four powers, inquiring what plan was to be adopted in case the pasha should refuse to comply with the terms of the ultimatum, to which they made answer that provision had been made, and there was no necessity of his alarming himself about any contingency that might arise. This day the period of three hundred and ninety-one years and fifteen days, allotted to the continuance of the Ottoman power, ended; and where was the sultan’s independence? — GONE! Who had the supremacy of the Ottoman empire in their hands? — The four great powers; and that empire has existed ever since only by the sufferance of these Christian powers. Thus was the prophecy fulfilled to the very letter. p. 486, Para. 2. From the first publication of the calculation of this matter in 1838, before referred to, the time set for the fulfilment of the prophecy — Aug. 11, 1840 — was watched by thousands with intense interest. p. 487, Para. 1. They were watching the news and how did the new fulfil the prophecy? And the exact accomplishment of the event predicted, showing, as it did, the right application of the prophecy, gave a mighty impetus to the great Advent movement then beginning to attract the attention of the world. p. 487, Para. 1. There must have been some sort of event as this was prophesied. Once again we see that Gods time piece of prophecy was right in harmony and we have seen now in the fall of eastern Roman empire and the king of the north coming to his particular sustenance under the government of other Christian nations. He still had power, but it was a power that was supplied to him. We are looking at the Turkish headquarters of the Ottoman empire, the king of the north and the ongoing detail of that we want to pick up in our next study of Daniel 11 where we read in the conflict in our previous study between Egypt and France and Turkey. Daniel 11:42 He shall stretch forth his hand also upon the countries: and the land of Egypt shall not escape. 43 But he shall have power over the treasures of gold and of silver, and over all the precious things of Egypt: and the Libyans and the Ethiopians [shall be] at his steps. 44 But tidings out of the east and out of the north shall trouble him: therefore he shall go forth with great fury to destroy, and utterly to make away many. 45 And he shall plant the tabernacles of his palace between the seas in the glorious holy mountain; yet he shall come to his end, and none shall help him. We can identify the king of the north as being definitely Turkey and how Turkey was ultimately brought to heal and under control by the Christian nations. The other transactions between Turkey, Egypt and Russia, the Crimean war that all things had their particular play. The king of the north, Turkey, was purely a power that was sustained by other powers. This is why it says in verse 45 there will come a point in time where the Ottoman vestiges, the left overs of the Ottoman empire which were the Islamic block which were all being supported and helped, will ultimately have their power taken away from the powers sustaining them. The Arab world today has its places of worship in Jerusalem. You can see the conflict going on at the moment with the Palestinians. The Palestinians used to have control over Jerusalem because it was given them by the British, but in 1948 the Jews received it back again; and since that time you’ve had the Jewish-Palestinian problem. This drama will come to the point where Turkey, which used to be at the head of the whole Ottoman Empire, will restore its Caliphate. It will shortly shift the headquarters of its government to Constantinople. And then, it will place the tabernacle of his palace, his seat of government, between the seas in the glorious holy mountain, in Jerusalem itself. And then it shall come to the end (in the sixth plague) and none shall help him. America and Europe will have to receive their destruction. All the other nations are sustained by America and Europe. The rest are hangers on. The kingdoms will be passed from them to Christ. As the prophecies were fulfilled and it gave impetuous to 1844. We can know as we watch the events of the king of the north, being the Arab league, lose his power. We can see the exact timing of the events when Michael stands up and there shall be a time of trouble such as never was and link this up to the seventh trumpet. Posted on July 22, 2009, in Daniel, The King of the North and tagged daniel 11, king of the north, muslims, seventh day adventist. Bookmark the permalink. Leave a comment.